Give your customers instant access to item information. 2B-PriceChecker is a self service kiosk solution that streamlines your operations and delights your customers! Direct real-time connection to your CounterPoint database. 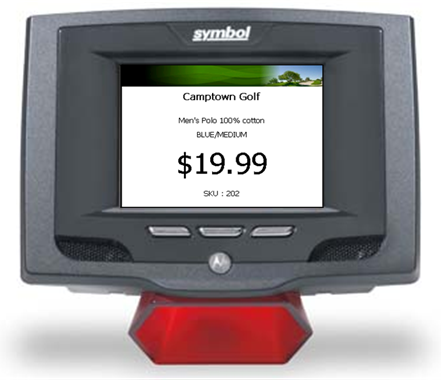 Scanned item will display the price (including applicable price rules), description and SKU.